…after a trying day to find two telephone messages. The first informs her that she has not been chosen for a coveted summer internship, a position for which her father had arranged an interview. The second is from her mother, with the news that Sarah’s best friend in high school, JoBeth Ruland has murdered her own son and daughter. To mislead her father about her failure to be chosen as a recipient of the internship, Sarah decides to secure a position on JoBeth’s defense team. Against her father’s vehement protest, she leaves Evanston, Illinois at the end of the term and returns to Eight Mile Junction, South Carolina, a small town in the Appalachian foothills, determined to convince him that the experience will contribute to her future. To make the best of the situation, Sarah sets out to become a vital member of the defense team and to regain favor with her father. But she is not well-prepared for the shock of leaving her sheltered academic life and working in a community rife with chauvinism, malice, and betrayal. Her struggle is met with the benevolent amusement of the senior law partner, John-Two who, despite her objection, insists on calling her “Little Lady.” The criminal trial expert on the team, Al, a tense, disciplined young attorney, resents the intrusion of what he believes to be a know-nothing law student, and treats Sarah as if she is incompetent. The folks of Eight Mile Junction close ranks in the face of Sarah’s inquiries, hiding the town’s complicity in JoBeth’s degradation from the eyes of “outsiders” by finding her guilty before the trial begins. And finally, her father, on whose judgment Sarah has relied her entire life, rejects her efforts to placate his ill-humored response to her decision that summer. 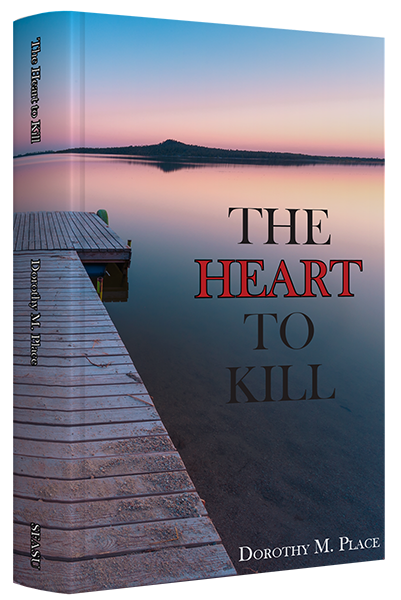 Click on the map below and take a tour through Eight Mile Junction to learn more about The Heart To Kill and the characters that make the story!